It is visible to even the blind that there has been a turnaround at Arsenal since Unai Emery took over the mantle of leadership prior to the start of the new season. The Spanish manager came in to fill the void left by Arsene Wenger and his performance so far has got everyone talking of how he has transformed a previously weak Arsenal side into one with great zeal coupled with a positive winning mentality. The north London side has had a good run which has placed them in fourth spot just few points away from the top of the table. Their eleven straight wins in all competitions says more of the influence of the former Paris Saint German coach on the squad. Alexandre Lacazette has for this reason heaped praise on Unai as he compared him to Wenger under which he claimed to struggle for form. 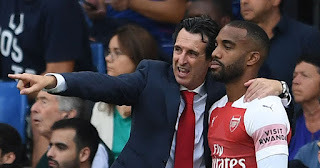 The Frenchman admitted that operations have gone entirely different with Emery, a development which has immensely impacted on every member of the team. In a chat with Ian Wright ahead of Arsenal's visit to Crystal Palace, the striker said: ‘On the pitch, yeah, we feel differently. [Working harder?] Yes because there is more tactics now. ‘The coach as well is demanding higher with every player. Yeah I like it. It’s the best way to improve. ‘Yes I was [disappointed] last season I knew I had to score in one hour. 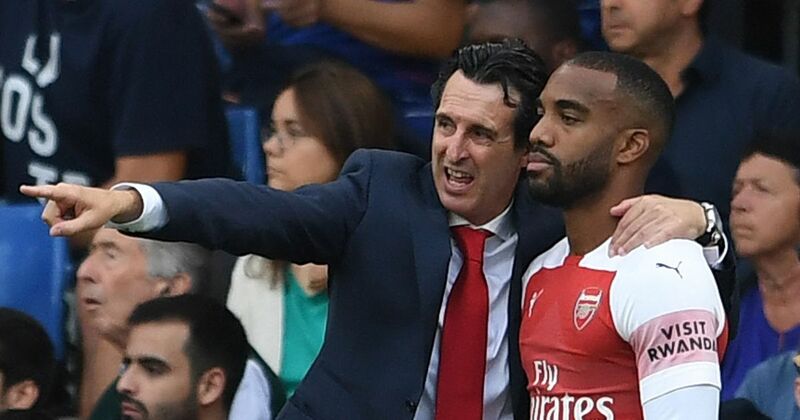 When I talked with the coach, he has to make some choices which I have to respect,’ Lacazette said. ‘When you’re a striker you want to play all the games and most chances come at the end because defenders are tired. The 27-year-old went on to drop a bombshell by saying that the new boss is more flexible since he allows him play at will and not restrict him to the box. ‘With Arsene, yes [wanted me to stay in 18 yard box],’ he said. ‘With Unai it’s different.